The new Diprofil HPX Rotary hand-piece has been designed to withstand heavy-duty work in a wide variety of applications such as surface finishing, grinding and deburring. Sweden-based Diprofil Diamantprodukter is introducing a line of rotary hand-pieces for use in both European and US standards. Welcome to your 2nd Edition of the DIPROFIL Newsletter 2017! PLASTPOL – The International Fair of Plastics and Rubber Processing was a 4 day event held from 23rd May to 26th May 2017 at the Kielce Trade Fair Centre in Kielce, Poland. joke Technology GmbH, DIPROFIL’s main distributor in Germany, will participate at Moulding Expo – The International Trade Fair for Tool, Pattern and Mould Making, in Stuttgart, Germany, between May 30th and June 2nd. DIPROFIL’s distributor in Poland, Multi-Instal, will be an exhibitor at the 21st International Fair of Plastics and Rubber Processing PLASTPOL, between May 23rd-26th in Kielce, Poland. 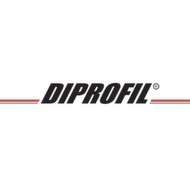 DIPROFIL Product Catalogue 2017 - Download now! Here is the latest Product Catalogue from DIPROFIL, available as a PDF document. Download your free copy now! Take a look at our new Jewellery Catalogue 2017 where you will find pictures and technical details about our machines and tools for the jewellery industry! This year again, DIPROFIL’s participation to the renowed show has been a success thanks to our French distributor SAS Veyret who displayed our most wanted jewellery tools. To have a better understanding of our range of products for polishing, check out our new Product Catalogue 2017 which can be browsed online and even downloaded as a PDF document. Welcome to Baselworld 2017 - The World Watch and Jewellery Show! DIPROFIL's 1st Newsletter 2017 is here and we have great news to share! Do you work in the jewellery industry and are looking for the best machines and jewellery tools for your products? The best tools & accessories for tool and mould making! MetalRustGuard - the best non-toxic corrosion protection! We have known for a long time that clients in the jewellery industry love the Dipromini polishing/filing machines and the way it facilitates the work they do. The exhibition once again proved what a huge interest there is for the Diprofil Dipromini polishing/filing machines and the belonging tools and accessories among jewellers, goldsmiths and watch makers. MetalRustGuard is an ideal product for the tool and mould making industry as it protects not only against corrosion but also against scratches and abrasion. The Mark II editions of the Diprofil Classic and Di-PRO polishing/filing machines have now been in the market for over a year and the customer feedback has been nothing but positive. We have known for a long time that clients in the jewellery industry love the Dipromini polishing/filing machines and the way it facilitates the work that they do. Sweden – Sweden-based company Diprofil / Diamantprodukter has been appointed as exclusive European distributor for the Metal Rust Guard's mould wrap material. Winter is soon here so we would like to inform you already about our order & delivery schedule during the Winter Holidays! DIPROFIL is the exclusive European distributor of MetalRustGuard! Between the 19th and 22nd of September our distributor in China, Anhui Sikon Imp. & Exp. Co., Ltd., displayed the Diprofil products at CIAPE 2015 – The 9th China International Auto Products Expo 2015. Tomorrow, 13th of October is the opening of the 24th edition of Fakuma – The International trade fair for plastics processing at the Friedrichshafen Exhibition Centre in Friedrichshafen, Germany.